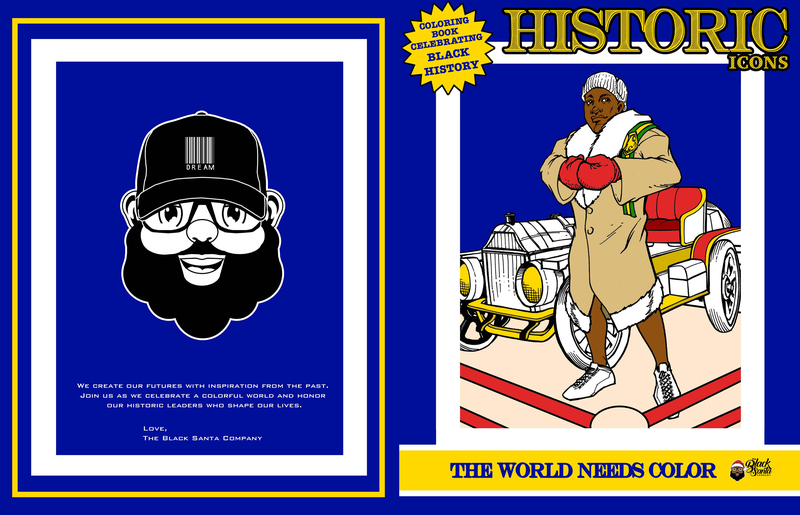 Two-time NBA All-Star Baron Davis and The Black Santa Company are the gifts that keep on giving. They have launched the Historic Icons Coloring Book and the Dream Collection, a clothing line inspired by Martin Luther King Jr.’s “I have a dream” speech, to encourage diversity, inclusivity, giving back and bringing people together. The Black Santa Company offers innovative holiday products, branded apparel and other culturally relevant consumer items year-round. The Historic Icons Coloring Book was written by Davis and Carl Reid with illustrations by Bill Maus. It highlights the contributions of 15 celebrated and unsung heroes, including Daniel Hale, Bessie Coleman, the Obama family, Richard Pryor and James Weldon Johnson. “So much of what I do as a company is about telling stories,” said Davis, the founder of the Black Santa Company. “We wrote and created the coloring book because beautiful tools make beautiful brains and to help families and friends read stories together. By making the book available on our website and on Amazon, we are seeing our book in offices, museums, gatherings and nursery schools to high schools. 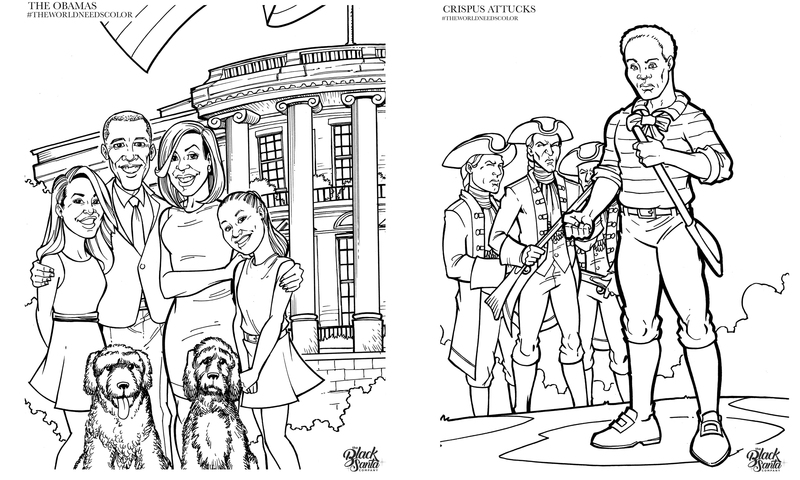 Historic Icons Coloring Book is available on Amazon for $8.99. “We create our futures with inspiration from the past, and we live in a world that needs a constant reminder of hope and positivity. I want to continue to give people the ability to dream and imagine something different. I want to make people feel good about themselves,” said Davis. The Dream Collection is an assortment of men’s and women’s crew neck sweatshirts, hoodies and T-shirts. Each piece features the Black Santa or the newly launched “Mrs. C” character and is highlighted with the words “King,” “Queen” or “Dream,” promoting self-confidence.